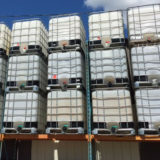 Gotta Go Surplus Buys & Sells 275 & 330 Gallon Liquid Poly IBC Tote Tanks. 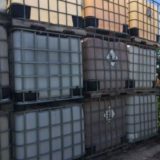 Good for used oil disposal, liquid waste can. 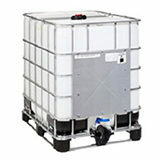 New bottled IBC Poly Tote in refurbished cage. Cage in in excellent condition and tote has never been used. These retail for $400!